AN extra 100,000 people will have to file a tax return in the next few weeks, many of them PAYE workers. This means more than 700,000 people will have to file a return and pay tax by the end of the month, the deadline for self-assessment set by Revenue. Experts at Taxback.com said that in the last five years the number of people filing a self-assessed tax return has grown by 110,000. Eileen Devereux, commercial director at Taxback.com, warned this cohort of taxpayers to get their affairs in order before next Wednesday. Those who pay and file online have until November 14. She said people who participate in new income-generating activities within the “sharing economy” such as Airbnb, will need to file a tax return. Also due to file a return are those involved in new entrepreneurial sectors such as ‘blogging’ and ‘influencing’. There are also tax bills due from the rise in the number of people with extra income due to higher employment in large companies with share options. Ms Devereux said there was a higher level of compliance due to the ever-growing reach of Revenue and its clampdown on non-compliance. Other people who could be required to file a tax return include people who have received income which is not coded into their tax credit certificate. Anyone who has received income from renting out a property. People who have received dividends from shares. Anyone who has received income from casual childminding duties. Those who opened a foreign bank account during the previous year. Consider all your sources of income. If you have income that was not subject to PAYE or Dirt, it is likely you will need to declare it via your tax return. You should contact Revenue to see whether you need to register as self-assessed. Consider what deductions may be available. If you have rental income, are you claiming all your deductions for capital allowances and expenses? Consider whether you can claim any other reliefs or credits, such as for medical expenses. There are some 174,000 landlords who will have to get their tax affairs in order soon. Ms Devereux said this group of self-assessed taxpayers has received greater attention from Revenue in recent years, with the tax authority’s annual report naming them among five sectors which received sharper focus in relation to compliance. Rental income has soared in the last few years, resulting in the knock-on effect of higher taxes to pay by those in receipt of it. However, Ms. Devereux advises that there are ways in which people can bring down their tax bill. “Changes to the rate of mortgage interest relief for landlords introduced over the last few years have meant that landlords can reduce their tax bill by an increasing amount, with even greater effect over the next few years. “Budget 2017 increased tax relief on mortgage interest to 80pc of the interest paid on borrowings on a rental property, up from 75pc previously. An unexpected or underestimated increase in income in 2017, could mean that those filing a tax return could be hit with a double whammy in terms of the amount they owe. 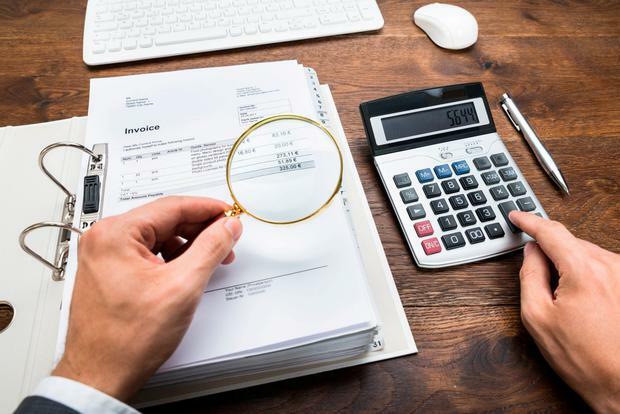 This is a necessary evil of a growing business, so while there might be a financial sting in the tax return this year – it is all for a greater good because higher tax bill stems from higher profits, Taxback.com said. Medical expenses relief at 20pc is still available and can be claimed on most unreimbursed expenses and on qualifying, non-routine dental expenses. Keep your receipts. If you are paying for tuition fees for a full or part-time third-level course, be it for yourself or for your child, then you may be entitled to tax relief on the cost. Third-level fee payers can claim tax relief on tuition fees (including the student contribution) that are paid for eligible education courses. The relief is available to whoever is paying the cost of the fees. And if you are paying for more than one child to go to college, the good news is that there is no limit on the number of individuals for whom you can claim. In fact, most claims for this type of relief come from parents with more than one child in college at the same time.